Knowing as much as you can about what you are buying has always been a sensible policy, whether you are purchasing a company, a car, or something far less substantial. Size it up, do some due diligence, and make sure you get your money’s worth. 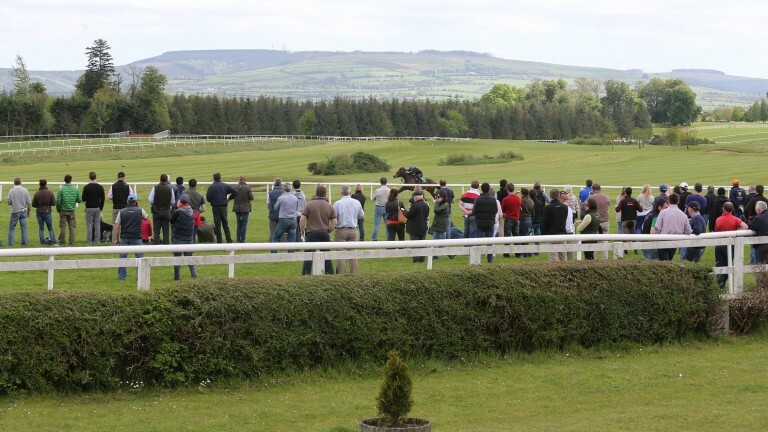 The potential for achieving the same with unraced racehorses is not all it might be. Pedigrees will tell you something, conformation may tell you something else, a good word from someone in the know could prove valuable, or not. Breeze-up sales remove some of the guesswork. Pedigrees and conformation still count for plenty, but the act of galloping the merchandise over two or three furlongs beforehand is not unlike taking that car for a test drive, all the while seeing how it compares to dozens of others being put through their paces at the same time. The breeze-up concept has been understandably popular in Britain since it was introduced at Doncaster in 1977. But the ways in which onlookers have aimed to clue themselves up about the horseflesh they are looking to buy has evolved along the way. Stopwatches came on the scene a long time ago, as the importance of measuring how fast a two-year-old ran its breeze became clearer. Sales companies helped by putting people with flags at furlong markers to indicate when a horse was passing those junctures. More recently, private timing gates have sprung up, with around half a dozen separate sets at some sales. These break-beam devices record times to a thousandth of a second, which is far more accurate than a human clocker could ever hope to achieve, flagman or not. Times at breeze-up sales are still viewed with scepticism by some, however. As was once said, “there are no two-furlong races”. While acknowledging the limitations of times looked at in simple terms, the truth is that this is a shop window in which breezing quickly is most likely to be viewed favourably by the market. As a result, many consignors aim to have two-year-olds who do just that, which presumably includes engaging skilful – and light – jockeys on their backs. There is little to be gained from hiding your horse’s light under a bushel in such an environment. Times need to be interpreted, too, much as they are in a racecourse environment. Rain will slow them over the few hours a breeze-up takes to complete, while wind can do the opposite. A youngster may run an ordinary time from the start of its breeze to its end but a sparkling section within it. Making sense of timing information at the sales can be much more nuanced than just looking at an overall time in isolation. 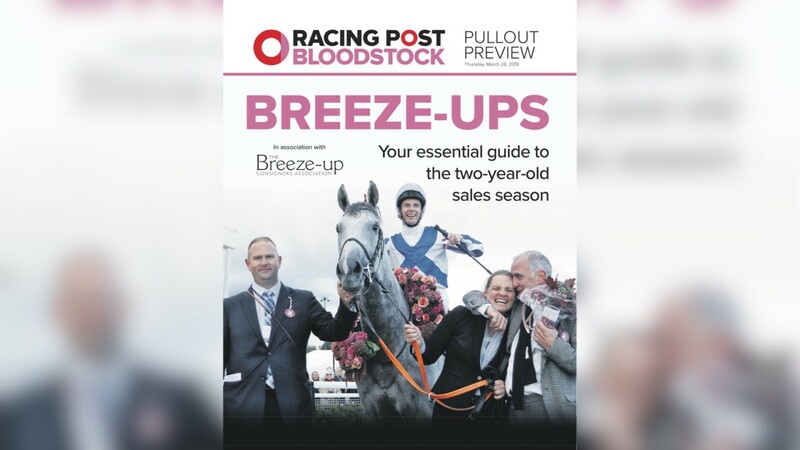 Modern breeze-up sales provide videos, also, which tend to be of limited use with regards to filling in any gaps in timing, but which may be analysed in other ways. Striding analysis – especially of a horse’s stride length and stride frequency – is possible, if with some effort. Stride length is correlated with a horse’s ability, but is highly influenced by circumstance (a horse’s stride will shorten when going uphill, around a bend or on softer ground). Circumstance is not such a big thing when every horse is running over the same track, on more or less the same ground, and on the same day. A breeze-up could be viewed as a 200-runner race broken into its component parts. Striding frequency is associated with stamina, as racecourse research has shown, with a speedy stride nearly always necessary to be a sprinter but with the ability to relax and stride more slowly usually indicative of those who stay better. The signs are likely to be there in a horse’s videoed gallop if you look for them. Then, there are more traditional, and less numerical, ways of measuring a juvenile’s potential. Some look for how a horse gallops out at the end of the breeze, and what its breathing sounds like after it has been subjected to pressure. Others place plenty of store by how a horse’s temperament holds up in what will be, to a greater or lesser degree, an unfamiliar environment. We should expect horses who have only recently turned two to show signs of greenness: it could be a sign of greater long-term potential, especially if accompanied by a fast or otherwise impressive breeze. What sort of horses originate from the breeze-up sales, then? Well, all sorts, including sharp types, more enduring performers, and plenty of Group-standard runners among the rank and file. The 2018 European breeze-up alumni included La Pelosa, winner of the Grade 1 Natalma Stakes at Woodbine, East, runner-up in the Grade 1 Breeders’ Cup Juvenile Fillies’ Turf at Churchill Downs, and Graignes, third in the Group 1 Criterium International. Teppal took only a little longer to hit pay dirt, winning the Group 1 Poule d’Essai des Pouliches at Longchamp in 2018 having been sold for the equivalent of £87,500 at Arqana the year before. Earlier breeze-ups featured the likes of Brando, winner of Group sprints in each of the last three seasons, Thundering Blue, a Group 2 winner and International Stakes third in 2018 as a five-year-old, and Stormy Antarctic, as good as ever at five years in 2018, when he won two Group races in Europe. A still earlier breeze-up included the future top-notcher Dream Ahead, many of whose offspring have followed in his footsteps through the breeze-up system. The average breeze-up price of future Group winners from 2009 to 2018 inclusive – of which there have been 158 individual horses and 194 such successes – is about £91,000. Meanwhile, the number of two-year-old winners sold at European breeze-up sales has increased year-on-year since 2013. Whether you want an off the shelf racehorse ready to run within weeks of a sale, or something which may take longer to mature, they will be catalogued somewhere. You just need to develop the smarts to figure out which is likely to be which.